with friends. She was murdered a year later. I had anticipated that by now we would have great news to share, namely, that the Knesset Ministers Committee for Legislation passed the bill regarding in- community living and personal aid baskets for people with disabilities. Instead, Bizchut has reported that, while the committee convened last Tuesday, it deferred the vote on that bill to an unspecified date. But don't despair. As Bizchut explained, this is actually good news. That's because the reason for the postponement was that the ministers want to learn more about the bill and its economic implications before a vote. Bizchut believes that its well-received "Make Room" campaign (see the video here), the Neve Ha'irus scandal (click here) and all the emails that were sent to those ministers (see my blog post on that) contributed to this decision. In addition, Bizchut is convinced that the ministers were swayed by its new survey results (here) which show that the bill's plan will reduce costs of care for people with disabilities by some 20%. On another front, however, there is major news to share. Ever since our prime minister executed the catastrophic Shalit Deal in 2011, my husband and I have suffered the pain of watching one of the convicted terrorists released, our Malki's murderer, Ahlam Tamimi, enjoy the bliss of freedom, marriage and hero worship by her Muslim fans. 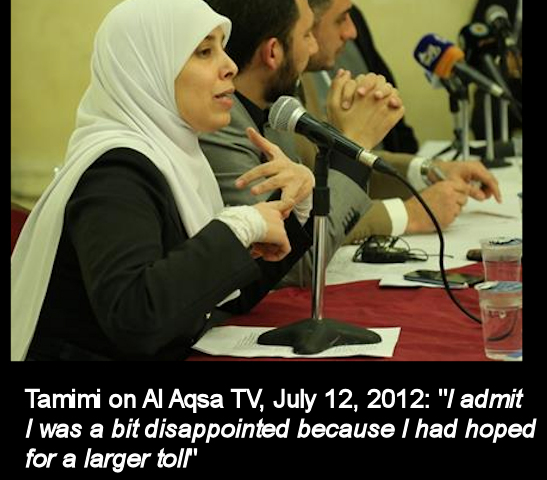 In early 2012, my husband went to Washington to meet with a group of senior Department of Justice officials and to ask for Tamimi to be brought up on charges in the United States. Our daughter was a US citizen, and the Koby Mandell Act requires US authorities in such situations to go after the terrorists wherever they are and bring them to court to face US justice. He brought along a video of me speaking and screened it to attendees at the meeting since I was unable to go. He told me later it had a strong, visible impact. During the five years that followed, we have met and corresponded with some of those people as well as with FBI agents all of whom expressed determination and eagerness to bring Tamimi to justice. But they never divulged any information about their efforts or results. Those repeated frustrating exchanges were another form of torture for us. We had begun to despair of ever hearing any encouraging news. Two weeks ago, however, they made contact with us to set up a meeting in Jerusalem for last week. This took place and they finally did some divulging. Big time. We learned that they have been have been making vigorous efforts in secret to have Tamimi extradited ever since sealed charges were filed with a US court in 2013. The obstacle is clear: Tamimi lives in Jordan where she was born, where most of her family lives and where the vast majority of the population call themselves Palestinians. 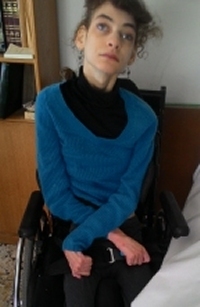 The government of Jordan does not want to see her extradited. Our understanding is they are not co-operating with DoJ’s efforts. At this point, and in view of what we have just learned, we are urging everybody and anybody who might be in a position to sway the two governments - the US and Jordan - to press for Tamimi's extradition. 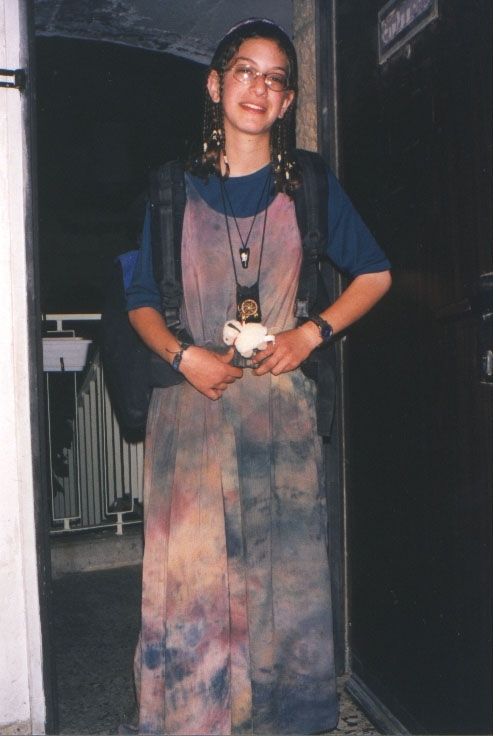 Just to remind you: this is the woman who boasted that she deliberately selected her target - the Sbarro pizzeria in the heart of Jerusalem - for maximum damage to women and children; that she then transported the bomb to East Jerusalem by taxi, and then within Jerusalem proceeded on foot with him (the human bomb) to the door of her target. And finally, who carefully instructed her weapon on how and when to detonate. She specified that he wait fifteen minutes to allow her ample time to escape unscathed. She confessed in court to all of the above. One year after her conviction, while interviewed in an Israeli prison, Tamimi was recorded smiling when she learned that eight of her sixteen victims had been children - not the three she had presumed. It was a smile of the darkest evil. The Jordanian king speaks volumes to western media about his battle against terrorism and desire for justice. But his harboring of this unrepentant mass murderer - and vocal inciter to more terrorism - reflects his true sentiments. It is incumbent on every goverment dealing with him to make it clear: there will be no trade or arms agreements without the extradition of Tamimi. It appears that Israeli officials are saying Israel's "hands are tied behind its back" in the matter of Tamimi's extradition. Untold other attacks have likely been committed by terrorists whom Tamimi herself incited to murder in her social media exhortations to her Muslim fans. While the challenge is overwhelming, we intend to fight for Tamimi's extradition to the US until that goal is reached. Please help us any way you can.